Vegan is not a dirty word! 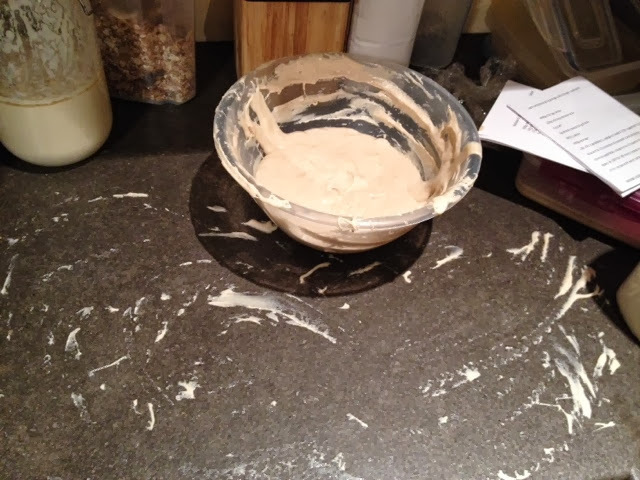 I've given it another knead (that photo was after the kneading!) and put it in the fridge so that I have more time to play with tomorrow. Tomorrow evening I'll shape it but I'm thinking I might need to cook this one in a tin. Controversial I know but I'm not sure I can make it hold its shape otherwise! 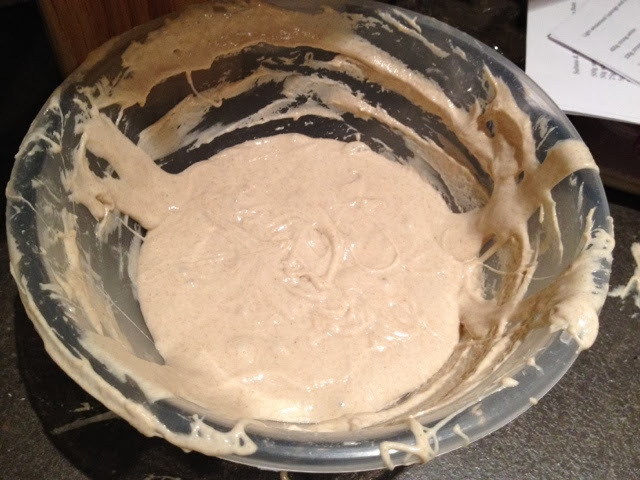 Tin shaped sourdough might work though, we'll see! I made a bit of a mess... Need to get me a dough scraper! I'll let you know how the bread turns out! Vegan MoFo - September 30th - The Last One! Vegan MoFo - September 21st - Winnar!